Did you know June is National Hunger Awareness Month? According to the World Food Program, there are more hungry people in the world than in the combined populations of the U.S., Canada, and the European Union. Because of the scope of this issue, we are proud to partner with clients that work to end hunger—including right in our own backyard. This month, we want to recognize the important work of Second Harvest Heartland. We have been working with Second Harvest Heartland as an evaluation partner of a pilot program of the organization, Food + You. With Food + You, Second Harvest Heartland partners with school districts to increase the availability of healthy food for students and their families. The program consists of technical assistance; food distributions; Supplemental Nutrition Assistance Program (SNAP) outreach and application assistance; community connections; and efforts to build schools’ sustainability for these activities in the future. The program “creates less stress on our family knowing that food has been provided for us,” one focus group participant told us. “Now in its third year, Food + You has changed a lot since its inception,” said Pat Pearson, Senior Hunger Programs Manager for Second Harvest Heartland. The Improve Group has worked alongside Second Harvest Heartland to make these changes. We are serving as the developmental evaluation partner, which means we are developing findings and sharing them in accessible ways so Second Harvest Heartland can improve and refine the program model as it evolves. 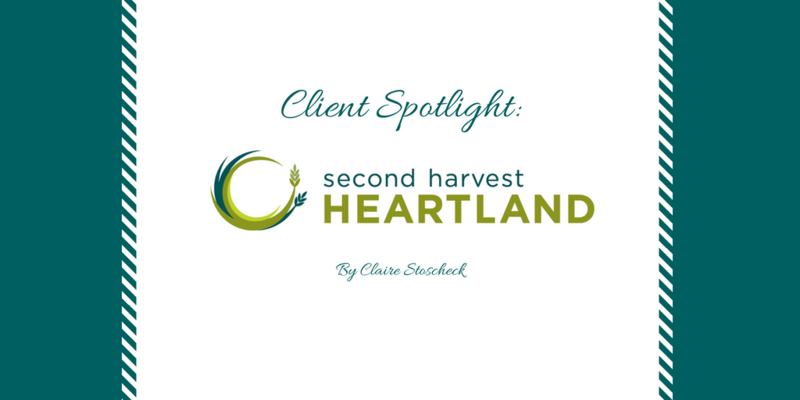 We are always excited to see clients put our findings to use, and Second Harvest Heartland has done a great job of this! For example, in focus groups and a cost-effectiveness analysis, Second Harvest Heartland learned food boxes weren’t the best way to serve families. With that finding in mind, Food + You turned to providing more fresh fruits and vegetables. We are grateful to continue our work with Second Harvest Heartland as we turn to sharing our findings for the third year of the Food + You program. Reflecting on National Hunger Awareness Month and her work at Second Harvest Heartland, Pat emphasized that hunger is everywhere, just in different forms.